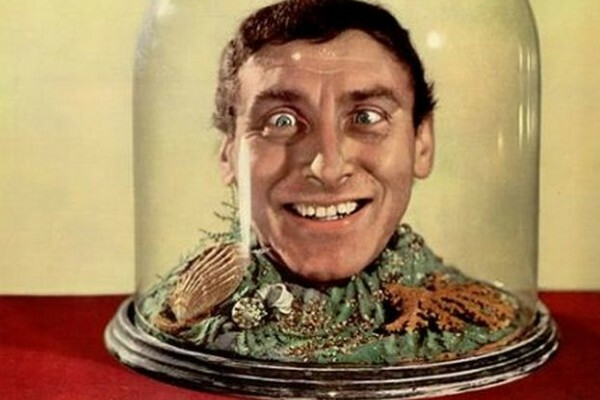 It took over two years for his family to come to some kind of agreement but eventually after much bickering and inter-family dispute Spike Milligan’s final wish was granted. 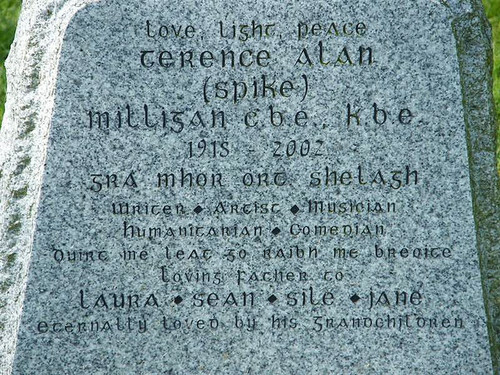 He had said for some time prior to his death in 2002 aged 83 that he wanted a specific sentence engraved on his headstone but it seems his immediate family were reluctant to grant his wish. With six children by three different mothers perhaps it was inevitable there would be disputes. The grave at St Thomas’s Church, Winchelsea, East Sussex was unmarked for two years but finally the family came together and agreed on the wording albeit with the compromise it would be in Gaelic – Milligan was an Irish passport holder. In Gaelic it read: ” Duirt me leat go raibh me breoite”. Translated it reads: “I told you I was ill”. 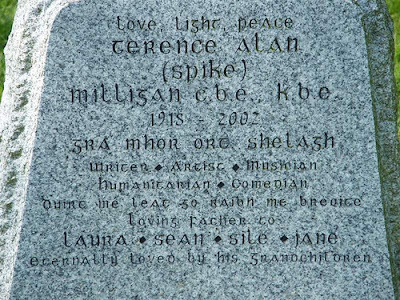 Fitting that even in death, Spike Milligan one of Britain’s finest comedians, can still raise a laugh.